AUTO-FOCUS remote control hardware interfaces for use with MaxIm DL, CCDSoft & FocusAide, etc. Ultra-fine autofocus motor ratio - one motor step = 0.000045" of actual tube travel! 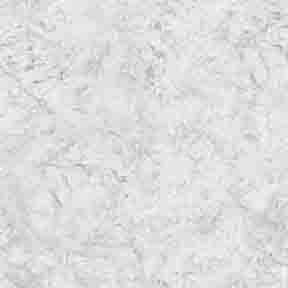 TOADS unique CRAYFORD design is the most stable and silky-smooth on the market, by a factor of 10! 3" TOADLOADERS can handle leveraged imaging train loads that others only dream of (UNLIMITED). All TOADLOADERS have GIANT 1" diameter BALL BEARINGS for ROCK-SOLID operation. All TOADLOADERS have 3/8" thick-wall, solid 6061 T-6 aircraft-grade aluminum housings & moving tubes. 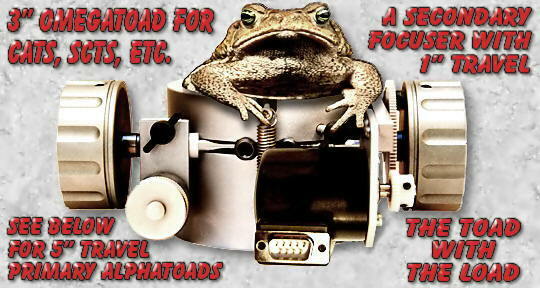 3" TOADLOADERs use interchangeable docking and output ports - adaptability plus! All TOADLOADERS (Lunatico) offer TEMPERATURE COMPENSATION capabilities. Eight 3" TOADLOADER models to suit any application. 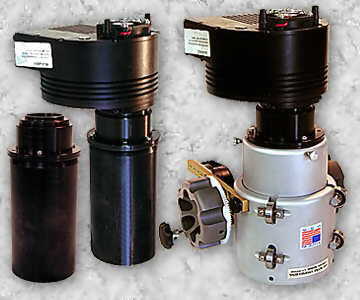 Best of all, VSI Focusers are sold directly from the manufacturer to you, the customer, at WHOLESALE. Need more proof? See "User Comments" link. TOADLOADER minimum profile = 3"
3" TOADLOADER housing diameter = 4.25"
3" TOADLOADER moving tube diameter = 3.5"
3" TOADLOADER moving tube internal clear aperture = 3"
Introducing VSI's GIGANTIC 3" TOADLOADER Docking Focuser with huge dual 2.5" diameter custom machined "GUN" knobs incorporating lightweight polymer cores encased in thick aluminum shells (see picture at left). These giant knobs are easy to grip and rotate using minimal tactile pressure and resemble the rotating cylinder on a revolver, thus the name "GUN KNOBS." 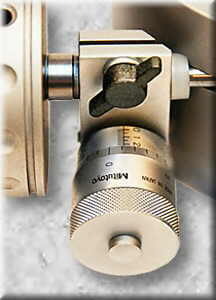 VSI's exclusive MICRO-DIAL (micrometer) ultra-fine focusing capability provides this focuser with the finest incremental focusing capability (by many factors) over any other focuser on the market (see picture below right). One full rotation of the micrometer's dial yields 0.00375" of travel with incremental indic interpolation that is repeatable to (better than) an unbelievable 75/millionths of an inch. VSI's Micro-Dial in not just another so-called fine focus control for visual observing like the ones offered on almost every other focuser on Planet Earth. To call a Micro-Dial fine would be like calling the space shuttle slow (17,500mph). Think thousands of times finer than anyone else's so-called fine focus control. A lot of experienced astroimagers, not familiar with VSI's relatively new Micro-Dial (with tactile sensitivity beyond any other) think that it is impossible to obtain critical focus without hands-off autofocus computer control. Not true! 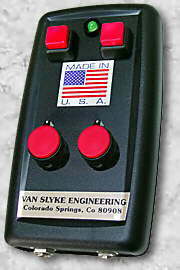 In fact, computer focus control is not as accurate or fine as VSI's manual Micro-Dial. Interpolation to better than 0.000075 inch. Do the math - indices vs steps. Yes, you can [now] manually focus sharper, better, and finer than any computer controlled autofocus stepper motor. But only if you want to, as all TOADLOADERS can be equipped with temperature compensated autofocus so you can have the best of both worlds - ultra-fine manual and autofocus capabilities. And you disengage the TOADLOADER's motor and/or engage the Micro-Dial with the turn of a knob. No dysfunctional [autofocus only] motor locked shafts or, worse yet, knobless focusers! Oh, you wanted to do some [analog] eyepiece observing too. Sorry, no can do! Did I mention dysfunctional? What are they thinking? Not. Of course, DC servo (w/hand paddle) and/or autofocus stepper motor control are available (purchase stepper motor electronic hardware package from Technical Innovations, around $300, see Autofocus link for more info). Interchangeable docking and output rings (optional) are available for every telescope and application possible. Custom tube travel lengths are available by special order. Over the years, VSI has continually taken the best features of all our previous focuser designs and incorporated them into new "super focuser" models. We do this not only to continually improve our products, but to [also] leave copy-cats in the dust. Of course, these VSI knock-offs are the greatest form of compliment! It tells you that VSI products are always the best by design, function and application. The only way to keep ahead of these imitators is to design new and creative focusers faster than they can copy our designs and incorporate them into their product lines. 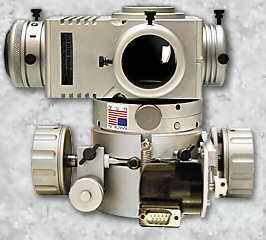 This unique design philosophy has pioneered our Crayford focuser development since John Wall first invented it back in the early 1970's (see "Brief History of the Crayford Focuser" below), and kept VSI on the "bleeding-edge" of focuser design for decades. 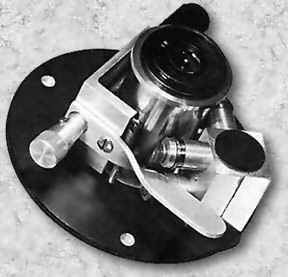 TOADLOADERS can couple directly to our Zerotators, Sidewinders, or Targetrons using the same 2.9" flanged format, so port rings are 100% interchangeable. You can create [what I call] the SUPER STACK (see picture at left), by simply stacking components in any configuration you want using coupling port rings (see OUTPUT ADAPTERS link above right, and SIDEWINDER Port Ring links) that only consume 1/8" of profile. Add a [1-inch profile] Zerotator (see Rotators link) and gain rock-solid, zero-flexure, super-fluid, radial ball-bearing Z-axis rotation of your entire imaging train. And our Zerotator can [also] handle any load you throw at it - guaranteed! All TOADLOADERS have been designed with the shortest profile possible (3"). The total SUPER STACK package (Toad, Zerotator and Sidewinder) at left consumes a mere 7" of profile! Our QUAD-LOCK system is incorporated in our 2" reducer output port insert ring (item #A312R pictured right) offering astroimagers a rock-solid coupling between a TOADLOADER's moving tube and your 2" barrel nose. Four tightening screws lock your 2" barrel nose into the focuser's moving tube - two 10-32 Nylon thumb screws and two [hidden] 8-32 set screws. The first two thumb screws, opposed by 90 degrees, lock your barrel in place from one end of the tube, and the other two set screws lock from the other end of the tube. This 4-screw application allows any 2" barrel nose to meld with the TOADLOADER's moving tube, creating a zero-flexure coupling. See VP Accessories link for more info on VSI's exclusive adapters. To further reduce noise and vibration, and better isolate the focusing motor(s) from the focuser housing, the motor's drive shaft is [now] coupled to the Crayford focusing shaft using precision Delrin spur gears. VSI is switching from metal to Delrin spur gears because Delrin (an indestructable polymer resin) is more durable and lasts longer than metal. And, VSI uses only the best Delrin gears available, with double metal set screws that lock the spur gears securely to the motor and Crayford drive shafts. What I consider to be the most important mechanical feature is the dual pressure points on the Crayford rod. 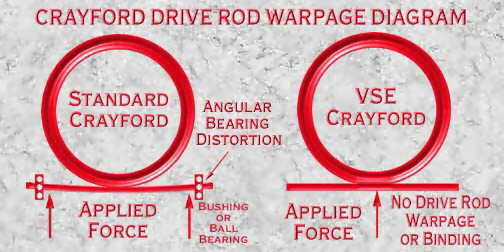 Instead of one pressure point, VSI's Crayford design [now] uses a dual pressure point on the rotating drive shaft (supported with two pure virgin Teflon pads), which offers a fluid surface so near-infinite force can be applied with no possible warpage of the drive shaft (see picture at right). VSI's original single pressure point design has been copied by literally every other Crayford focuser manufacturer to date. 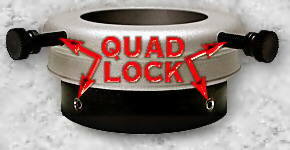 This design upgrade doubles the pressure applied to the Crayford shaft, in effect doubling the holding power. By applying equal pressure along a full 1-inch length of the Crayford rod and the entire 1-inch width of the moving tube's machined flat, you create a more positive rack & pinion-like movement, while cutting your focusing/tactile sensitivity, necessary to move the focusing tube, in half. 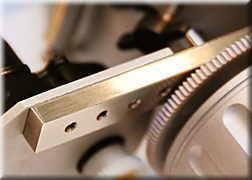 This creates an incredibly soft-touch, tactile manual focusing function that no other focuser can begin to offer. The TOADLOADER movement is not only as smooth as a 20 year-old, single-malt Scotch whiskey, but the silky action is extremely positive and reactive to the slightest touch, especially with those GIANT 2.5" diameter gun knobs. Another exclusive VSI feature is the vibration dampening system. 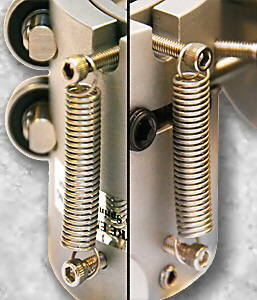 Note the stainless steel motor arm (see picture at right). Stainless steel, having a very high density, is the best material to dampen motor vibrations when a motor must be in close proximity to the eyepiece, like focusing motors. This undesirable vibration can easily transfer to what you see in your telescope's eyepiece. VSI's Zenith Lift System (patented), installed on all TOADLOADERS, provides a unique lift feature that balances focus control at the zenith, or near zenith, observing/imaging positions. The Zenith Lift System (ZLS) was created so the astroimager, or visual observer, can easily take advantage of the more transparent overhead zenith arena. If balanced zenith lift is not needed, you can easily remove the springs by slipping the hooked ends over the Allen screws - instant gone! 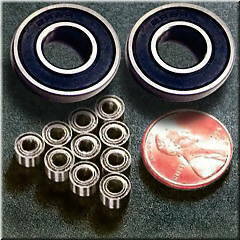 Anyone can purchase these miniature slot car bearings on the internet for about a dollar or two each in quantities of 10, as pictured above. Dealers can purchase them for under $1 each in bulk quantities, so why do Crayford focuser dealers [gladly] sell you a replacement bearing for $25? Ouch! I hear that people need to replace them frequently. A VSI radial bearing has never been replaced, ever! These slot car bearings are not even designed for loading. They are designed for hi-speed rotation, usually around 20,000 to 80,000 rpm. Whoa! That's fast! That means that their tolerance has to be very low to accommodate those extreme speeds. In other words, sloppy bearings designed for speed, not precision. Slot car bearing static load is [at best] around 13 lbs. and their dynamic load handling is around 44 lbs. 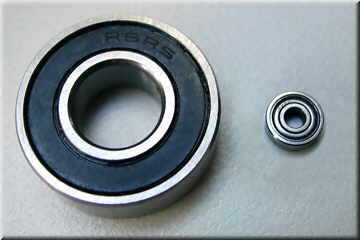 That rating is for a precision bearing of the same comparable size because that is the only reference I could find. Slot car bearings don't even list their load bearing capacity, probably because they are way below the numbers that I referenced. What do you want for a dollar? As you can see, almost two of these miniature slot car bearings can be dropped, side by side, through the center hole in a VSI bearing. VSI has always used precision, deep-groove, sealed chrome steel radial ball bearings in all focusers since day one over 20 years ago. For simple comparison, each VSI bearing has a static load capability of 310 lbs. 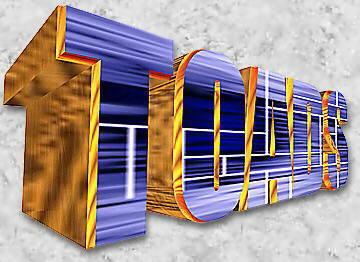 (slot car = 13) with a dynamic load capability of 740 lbs. (slot car = 44). That load rating is times four [bearings] when it's on your focuser. And precision, deep-groove radial ball bearings have much tighter tolerances because they are not designed for crazy hi-speed operation - a few hundred to a few thousand rpm max. Our 3" ALPHATOADS can now accept all 3" outside diameter coma correctors on the market, including Astro Optik's Newton-Wynne 3" Coma Corrector (made in Germany), pictured at right. 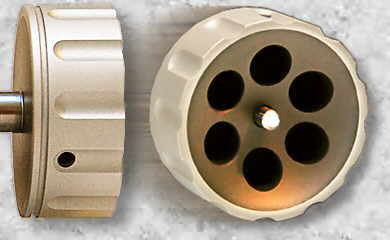 All ALPHATOAD moving tubes can be custom machined at no additional charge to 3.005" internal diameter to easily accept the insertion of these unique coma correctors. Pictured at right (left black cylinder) is a standard 3" coma corrector with an optional T-thread adapter (available from Astro Optik's) bolted to the top that provides the exact 60mm distance between the corrector lens and your CCD chip. This one accepts any CCD camera that has a standard T-thread coupling, like the SBIG ST10 CCD camera (shown). 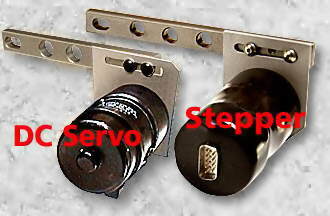 Just screw the camera onto the coma corrector adapter (center image) and insert it in the ALPHATOAD (right image) and tighten the three thumb (or set) screws opposed by 120 degrees. You can also use the 6" long coma corrector's barrel as a push/pull drawtube, if desired. When not using the coma corrector, just remove it and drop in our standard output adapters. VSI's output adapters include 2" barrel-nose, T-thread, 2"-24tpi thread, and SBIG's new 2.156"-24tpi thread for their STL11000 CCD camera (see OUTPUT ADAPTERS link above). Of course, custom machined output adapters are always available. Although our ALPHATOAD's have a long 5" travel, shorter custom moving tube lengths/travels are also available by special order.